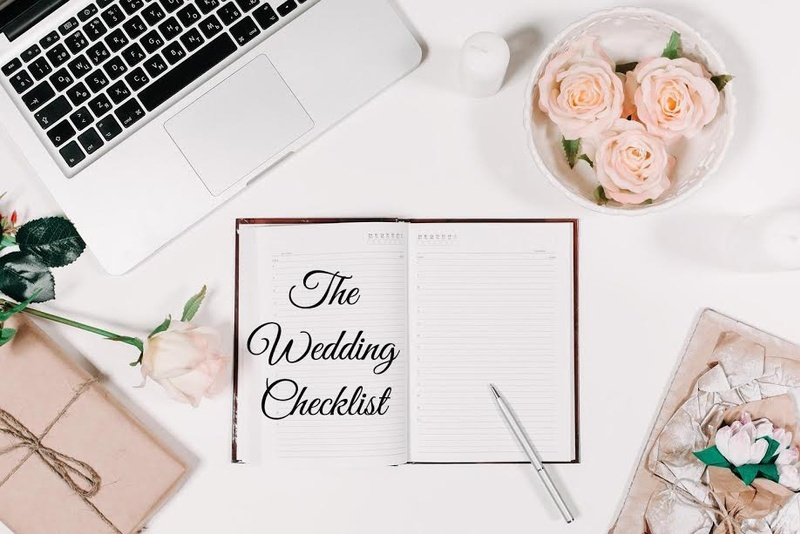 The Ultimate Wedding Checklist Every Indian Bride Needs To Follow! Start planning at least 6 months earlier as a wedding is no easy feat! 1. Choose a season and finalize wedding date! 2. Discuss the wedding budget and settle on an approximate figure. 3. Do you want a destination wedding or a local one? 4. Keeping your budget in mind, make a list of the pre and post wedding events. 6. Hire a wedding planner if needed. 7. If loan is required, research loan options and apply for loan. 8. Shortlist venues for each of your functions, keeping in mind capacity and budget. 9. Check out venues in person. 10. Research on your wedding themes you may like. 11. Check out DIY ideas if you want to personalise it. 12. Go through invitation card designs and shortlist your favourites. OR come up with your own. 14. Book venues for all functions. 15. Make sure you read the agreement and are on-board with everything. 16. Finalize wedding invitation card along with design and wordings. 17. Order wedding invitations cards. 18. Look for preferred caterers. 19. Go for food tasting with shortlisted caterers. 20. Hire your favourite caterer. 21. Finalise menus/s for your functions. 23. Research and decide entertainment ideas as per functions. 24. Make a detailed itinerary for each of the ceremonies along with time and date. 25. Start sending out invitations. 26. Browse designs for wedding jewellery and approximate costs. 27. Go jewellery shopping for rings, mangalsutra, etc. 28. Research what kind of photography you want. 29. Research photographers online. Check out some of their work to get a sense of their quality and style. 31. Book accommodation and tickets for your honeymoon. 32. Decide theme for décor. 34. Shortlist decorators and go through their offered décor ideas. 35. Discuss with decorator on your choices. 37. Book an appointment with a beautician and discuss with them if you need any hair or beauty treatment. 38. Book an appointment with a fitness trainer to assess whether you want to lose or gain weight for the w. edding. 39. Join a fitness programme, if needed. 40. Explore wedding functions hair and makeup styles. 41. Discuss outfit, location and dates for pre wedding photoshoot. Keep an ideal date of 1 month prior to the wedding. 42. Also discuss with him the list of events for photography and other details. 43. Book all entertainers for all functions. 44. Browse through various Mehendi designs. 46. Finalise and book your favourite mehendi artist. 47. Check out outfits for wedding and other functions. 48. Start visiting bridal and grooms wear stores. 49. Buy all your wedding outfits and accessories. 52. Join a dance lesson or hire a choreographer, if needed. 53. Book hotels to accommodate out of town guests. 54. Book transportation to and from venues. 57. Decide return gifts and favours for each of our wedding functions. 58. Shop for wedding favours. 59. Book Makeup artist for guests. 60. Go for a trial hair and make-up session. 62. Finalise the menu and do a food tasting. 63. Make a list of things required for ceremonies, puja and rituals and scatter the list among dependable family members. 64. Start taking your pre wedding beauty packages and follow a healthy lifestyle. 65. Get your scheduled pre-wedding shoot done. 66. Go through cake designs. 67. Visit bakers and book a cake for your wedding. 68. Find Trousseau Packer and get trousseau packed. 69. Decide on the bride and groom entry ideas. 70. Get your final haircut and colour. 72. Pack gifts and favours. 73. Discuss with DJ/band/musician and make a list of all songs to play at each event. Ex: Bride and groom entry, etc. 74. Reconfirm the presence and timing of vendors for their respective events. 75. Go through the timeline of ceremonies with your family and close guests. 76. Check the fit of your outfits in ase there has been a size change. 77. Give outfits for steam iron and get them ready. 78. Discuss with your photographer, hand him over list of important moments to capture. 79. Finalize seating and decor arrangements. 82. Pick up rentals, if any. 83. Put together few meds to avoid distress and also if you have any allergies. Pack a bag of necessities like perfume, blotting tissues, etc. 84. Give yourself a relaxing spa and massage. 85. Sleep for 9 hours the night before. 86. Eat a good breakfast! Allow yourself plenty of time to get ready. 87. Put a smile on your face. 90. Make sure you source pictures of every moment from you friends and fam. Just in case the photographer missed something. 91. Give all your outfits for cleaning and keep them at safe place. 92. Take a spa or massage to relax through post wedding exhaustion. 93. Leave for the honeymoon! 5 Trending Menswear Designs You Need To Check Out This Season! Temple Jewellery Lookbook: All You Need To Know About South Indian Bridal Ornaments. Navratna Lookbook: All You Need to Know about 9-Gemstone Bridal Jewellery! Incredibly Attractive Bridal Mehndi Designs That Are NOT For Your Hands or Legs! Top 10 Sangeet Songs for The Bride & Groom in 2017! 15 Wedding Photographers Who Wowed Us! Top 10 Wedding Cake Trends for 2017! Here’s Where You Can Buy Those Naughty Bachelorette Cakes for Your BFF! Creative Half and Half Wedding Cake Ideas that You Must Take Straight to Your Cake Vendor! 8 Wedding Food Bar Ideas That Will Leave Your Guests Super Pleased! 20 Edible Wedding Favour Ideas That Your Guests Will Love More Than Mithai! 5 Beauty Products You Must Carry on Your Honeymoon!